It's common knowledge that Nintendo has been around for over a hundred years, and that the company started out producing playing cards many decades before finding fame as a purveyor of interactive entertainment. However, the years in between are often overlooked by even the staunchest of fans - and that's what makes Before Mario such a fascinating book. 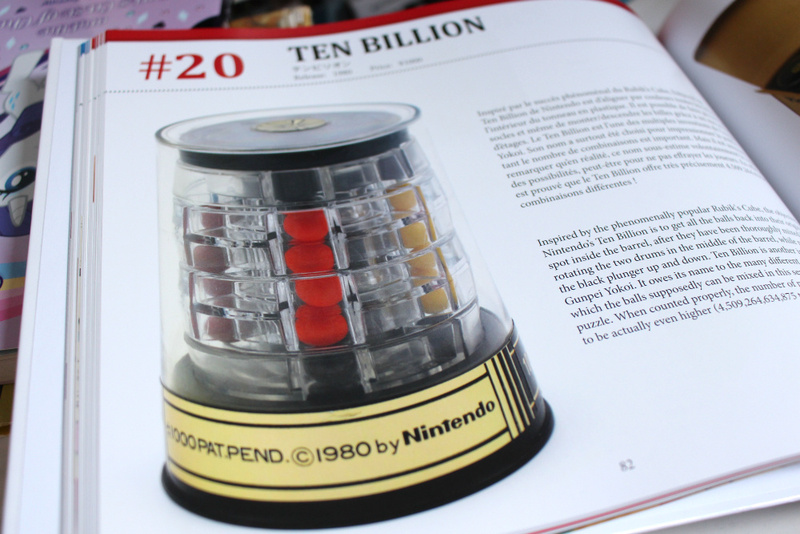 Primarily concerned with Nintendo's output between the 1960s and early 1980s, it's an eye-opening look at a company that was undergoing seismic change; this 20 year period saw Nintendo evolve from a maker of toys and board games to the firm at the vanguard of an in-home revolution, but what makes the process all the more interesting is that it's possible to spot traces of that trademark Nintendo magic along the way. 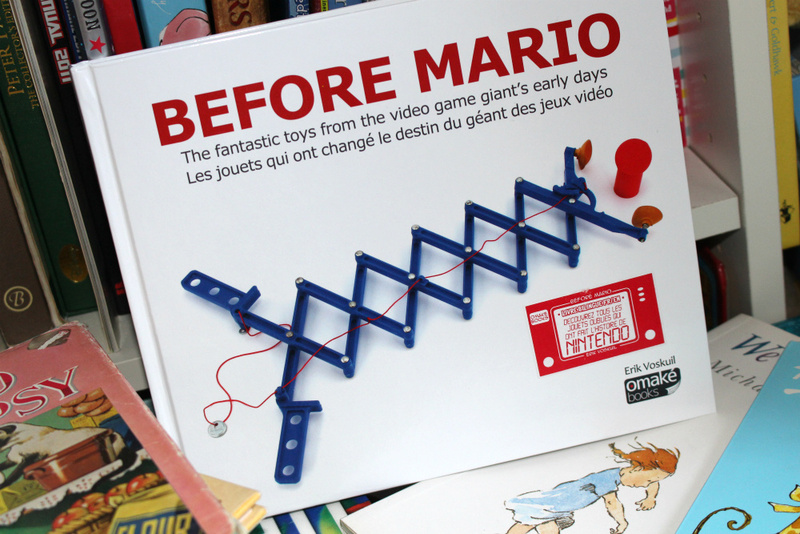 Written by Erik Voskuil and illustrated with gorgeous high quality photos of his own personal collection, Before Mario is an extension of Voskuil's excellent website of the same name, which he has been tirelessly expanding over the past few years. 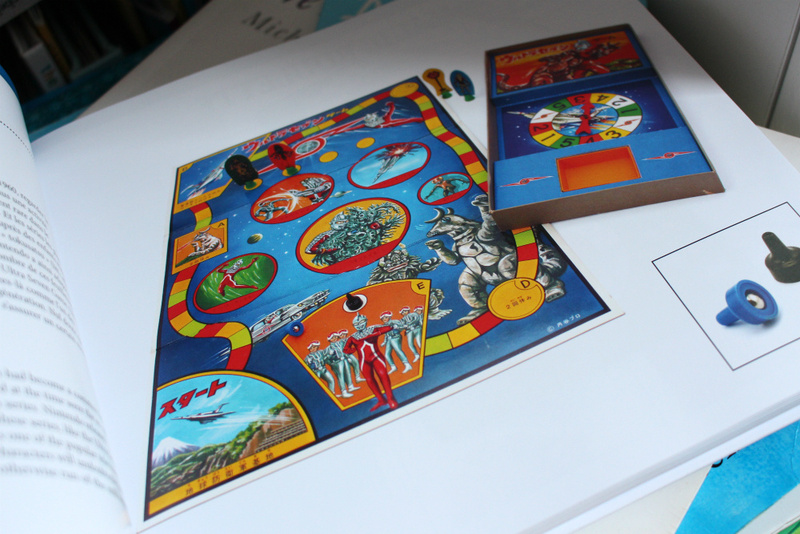 A seriously dedicated fan and self-confessed hoarder of Nintendo merchandise, Voskuil is also supremely knowledgeable and each page has a description - in both French and English - explaining the product, its appeal and any other points of historical note. Additional context is delivered in an introduction by former Nintendo employee Satoru Okada, who worked as a developer and producer at the company until 2007. 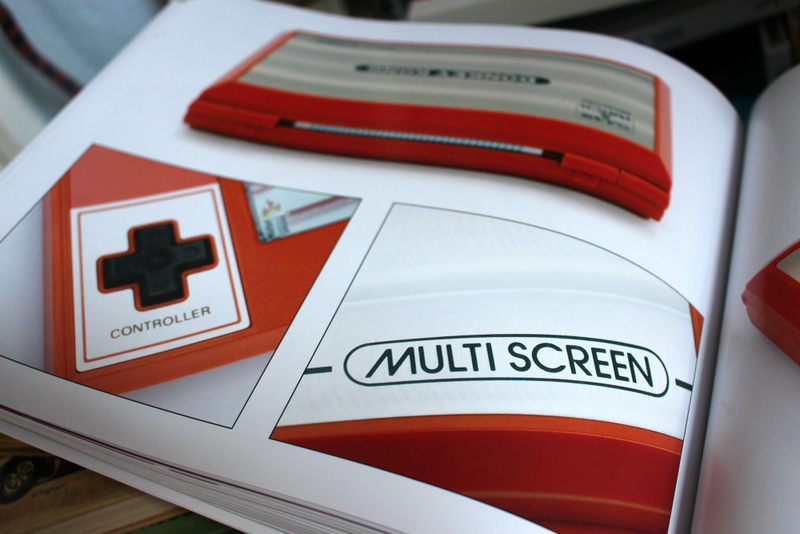 The book is neatly divided into different sections which cover periods of Nintendo's development during these exciting and tumultuous years. 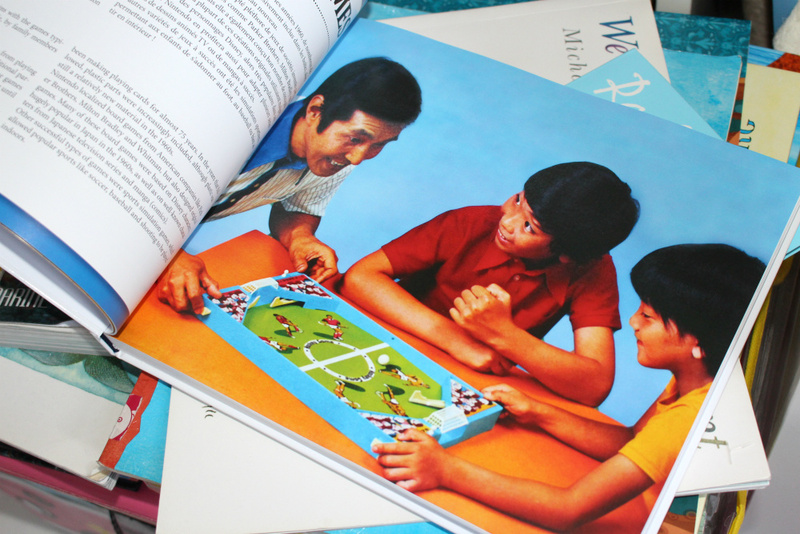 The early pages are concerned with the company's selection of board games and crude mechanical toys, while later on we see the influence of the legendary Gunpei Yokoi, who would change the face of the firm forever with his range of gadgets and technological marvels. 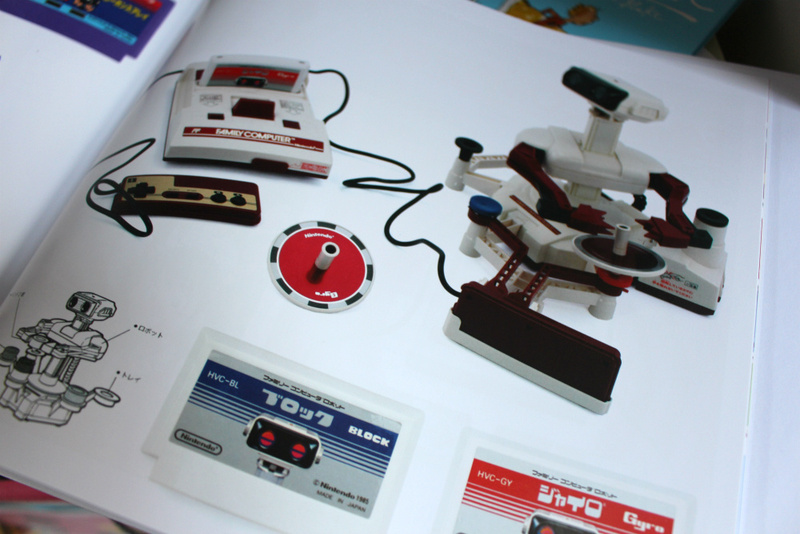 As the '80s draw near we see Nintendo's preoccupation with electronic games take over, culminating in the book's final entry - the iconic Famicom, which arrived in Japan in 1983. Even the most dedicated Nintendo fan is sure to spot something they didn't previously know about here. 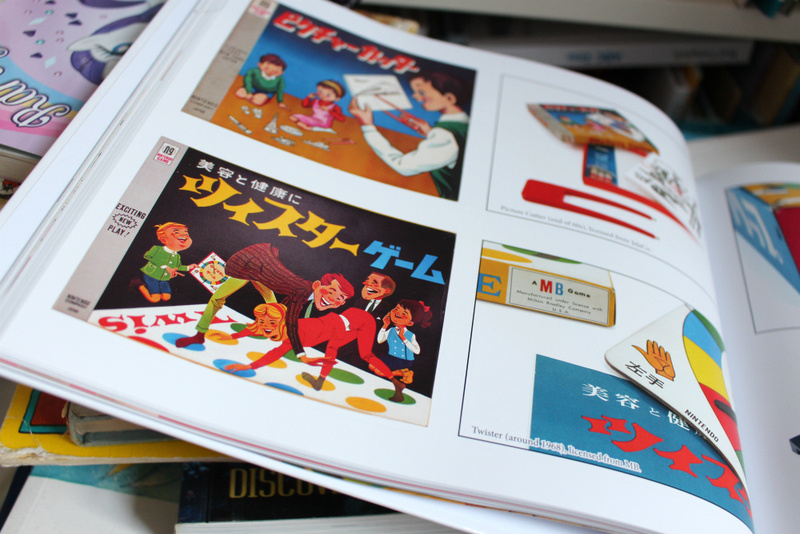 Nintendo's range of '60s Disney board games is interesting, as is the fact that the company was the sole licensee for the MB game Twister in Japan. 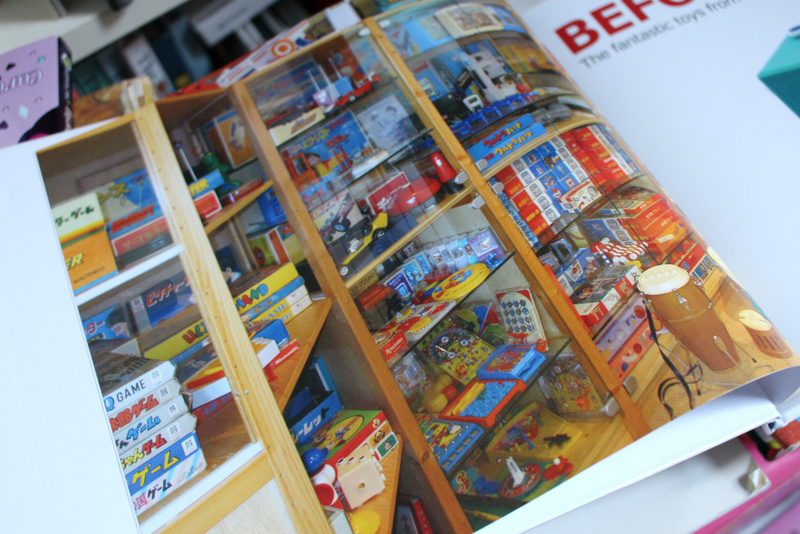 Nintendo also took on Lego with its own range of N&B building blocks in 1968, and even beat the Danish firm in Japan for a few years. Later in the book you'll spot innovation at work with 1983's Computer Mah-Jong Yakuman, the first handheld gaming device to support an optional link cable, pre-dating the Game Boy - other legendary Yokoi creation - by five years. 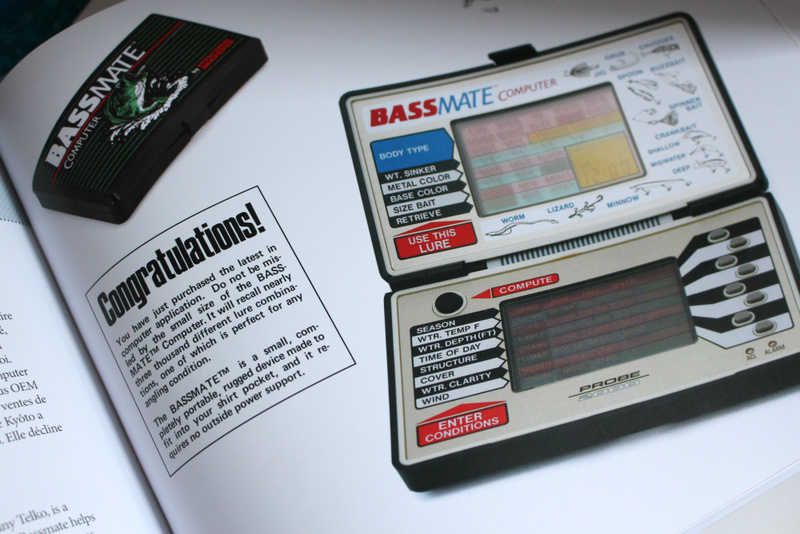 A year later Nintendo would produce the Bassmate Computer for US firm Telko, a portable device which allowed fishermen to select the correct bait for any given situation. 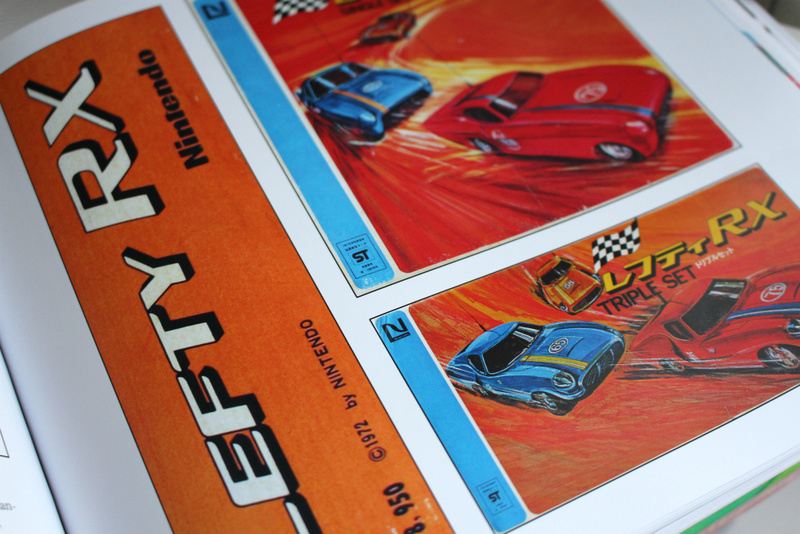 Produced by Yokoi's team with input from Telko, it was a one-off for the firm - an "OEM" device produced by Nintendo which didn't carry its branding. Who knows how many other devices of this type we would have seen had the Game & Watch and Famicom not been such amazing successes? However, what's most striking is how the book perfectly illustrates the amazing impact Yokoi had on the company's output. 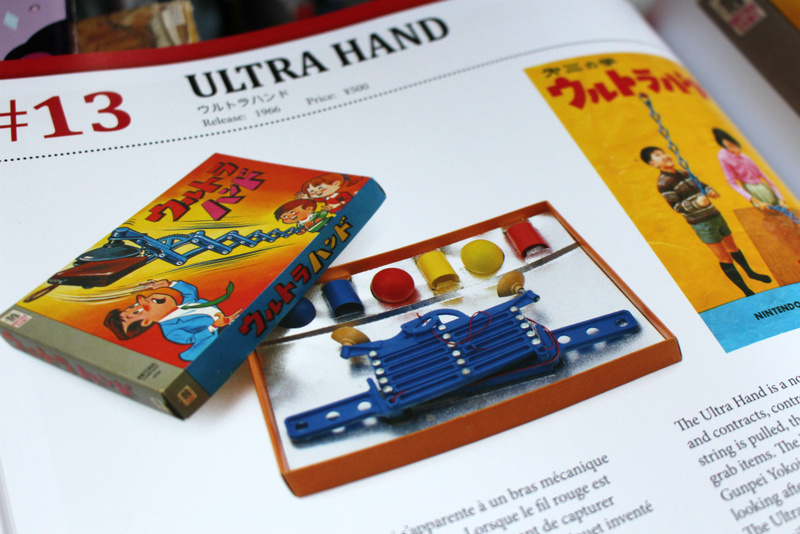 Employed as a engineer, Yokoi's first product was 1966's Ultra Hand, apparently created to pass the time while working in Nintendo's factory but spotted by Nintendo president Hiroshi Yamauchi and turned into a commercial release. It was the first Nintendo product to sell a million units and the first in a string of popular items by Yokoi which would lead right up to the launch of the ill-fated Virtual Boy and his departure from the firm in 1996. Yokoi would be killed in a roadside accident the following year, and Before Mario serves as a timely tribute to one of the most important people in Nintendo's history, perfectly showcasing the man's boundless genius. 1980's Ten Billion was an attempt to replicate the commercial success of the Rubik's Cube and saw success in its native Japan, while 1971's Light Telephone holds the distinction of being Yokoi's most bizarre idea - a walkie-talkie shaped like a film camera which uses transmitted light to exchange audio messages. The sheer variety of these products is staggering, and shows just how talented Yokoi was. The industry is infinitely poorer for not having him around today. One can only guess at how much Voskuil has spent over the years amassing such an amazing collection - every item photographed in the book is his - but his dedication and perseverance has delivered a sublime publication which is sure to delight and enthrall anyone who has an interest in Nintendo's history, or indeed the history of games and entertainment. 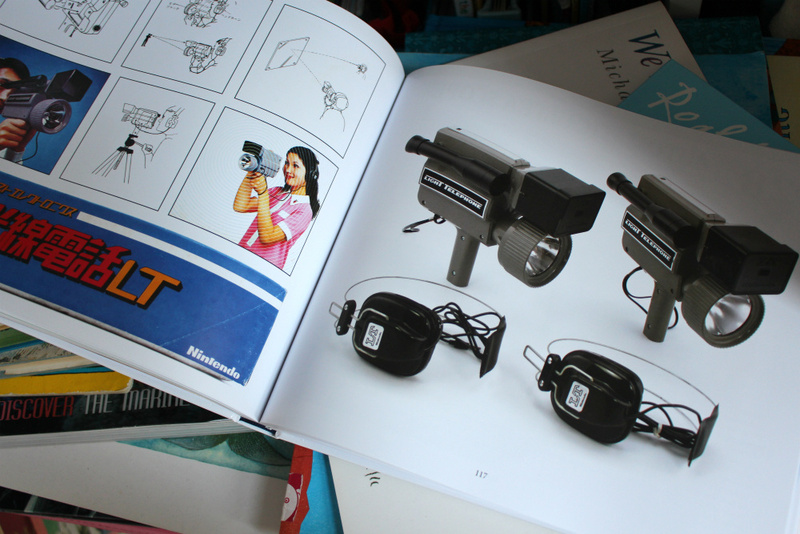 Scattered through this book you'll see the evolution of interactive entertainment - the slow but sure shift away from board games to electronics, finally arriving at the games console with its interchangeable media, dedicated controllers and optional accessories, a template which has changed little in the past 30 years. This is so much more than merely the history of one of the world's most recognisable brands - it's the development of an entire industry in pictorial form, and comes highly recommended. Look fantastic, but I can't afford its price, let alone shipping. It ought to look fantastic on a coffee table, though. As a graphic designer, I love books. This looks like a nice gift to suggest to my wife. The design and layout look great. Haha now those Animal Crossing items make more sense. This really looks like a good read. May have to give this a look. Man, another fantastic looking book. I mean, I understand the words individually but not when you put them together like that. I'd rather have gotten this book with SMM. 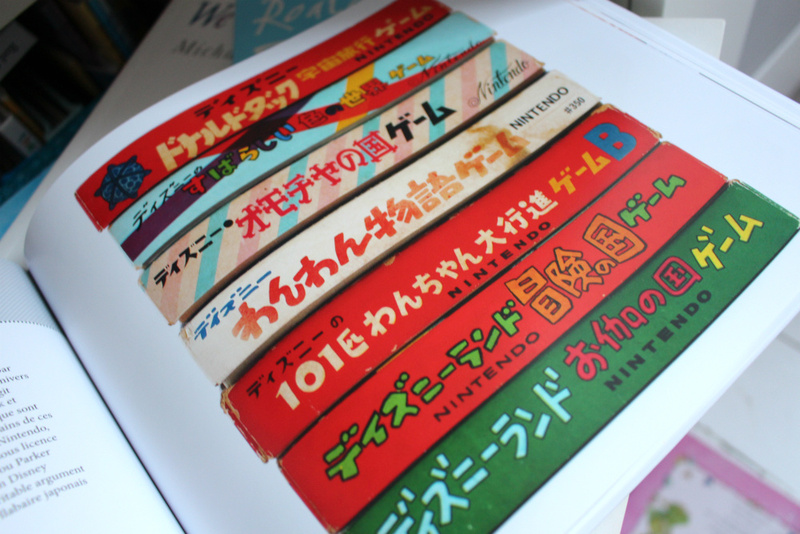 I still heartly reccomend "The history of Nintendo", it's a collection of three books written by the french author Florent Gorges that describe the history of Nintendo from the beginning till the late eighties. It's a very pleasant reading with lots of illustrations and photos and you can find them on Amazon. Sounds interesting, good article! There have only been a scant few other books covering this time period, such as David Sheff's Game Over. (Though that one has long since been out of print.) It cannot be overstated how vital Gunpei Yokoi was to Nintendo in it's toys into gaming transformation. Nintendo as we know it would not exist without him. In fact, he's probably even more important than Miyamoto, in that regard. Sad when the only things that seem to interest me about Nintendo these days is stuff from their past. Looks a great book. I used to own a lot of the items in it when i went through my collecting stage like the TV Game 6 which I bought for about £35 and now sells for hundreds! @TheWPCTraveler or in a bookcase. hmmm this might be my second xmas gift to myself after Xenoblade X! Wow, I'll have to get this! "a template which has changed little in the past 30 years"
Other than the obvious impact of mobile gaming, tablets and smartphones, I'm thinking VR will probably be one of the biggest shifts in entertainment since this advent of the modern games/entertainment console. @Cesco I've wanted the Pix'n Love books for ages, but they look like they're out of print in the States. Oh man, I would love to have this. I was mesmerised reading the original blog. Ah, back in the days of innovation. Motion control almost did it, but it turned out to be a fad. Wii U is certainly innovative- but not very popular, so not one that will be continued. In fact, for long term innovation, It was most recently achieved back in the days of the N64, with proper 3D. But the real innovations were the NES and SNES. If they made something like that again, that would be so freaking awesome. Then again, Wii U is my favourite console thus far. Personally, I think VR will be like motion controls- popular at first, but eventually rejected. It will be great while it lasts though. I have no doubt whatsoever that VR is here to stay. Even if it flops this particular time around (again), which I'm almost completely certain it won't, it will come back again and eventually it will stick. The potential for some truly amazing entertainment experiences (and beyond), particularly when it comes to gaming, is just too great. VR will, one day, be a massive part of our entertainment future. VR is not the next motion controls, but then, motion controls aren't actually the "motion controls" you think they are either. They've also still to finally achieve their true potential too—not to take away how disappointing they've been in many ways to date. They've just never been done quite perfectly, and that's not the same as them just being pointless or worthless. VR may actually be the medium that shows off just how useful and fun well done motion controls can actually be. I'm sure it won't flop immediately. But I doubt very much it will stay for any real length of time. Entertainment wise, yes, it's likely to be a hit, but a dedicated game console....... no. It can be a massive part of entertainment, but it's really not very useful for gaming. At first, getting the true first person experience will be exciting, but humans being humans, they'll get over it. The only long term purposes would be for those who want to travel, but without quite so much of the expense- a one off payment for a VR system being much cheaper than most vacations away from home. There, it will be useful. Cinemas are also threatened by it. But the links between it and gaming are far weaker than you'd think. And just because they can be done well does not mean they will be. I'm sorry, but I can't convince myself that this will do any better than motion controls. Great at first, but after a year or two I think it will fizz out and stop being as cool. @Donderpants Said like someone who doesn't fully understand quite what VR is truly capable of, imo. You, apparently (and please correctly me if I'm wrong), think that pretty much only fully first person type experiences can be done in VR (basically anything that involves either just looking or moving around in first person, as the core of the experience, and little else), outside of watching movies, which is a perfect way to not really comprehend just how versatile it is, or grasp that it can enhance basically all genres and forms of gaming in one way or another, even all the kinds of non-first person games out there. It surprises me just how much some people, especially some gamers, really can't seem to grasp what VR can and is going to bring to the table when it comes to the future of video games. You'd think they'd have more imagination than this and understanding of such things. Also, to be clear, almost nothing will be a "dedicated gaming console" in the near future, not even consoles, so that's really a totally moot point. VR doesn't have to be successful as solely a dedicated gaming platform. But it will provide some truly stunning and paradigm shifting videogame experiences, for absolute sure. And I can say that because it's already starting to do so, even at this very early, almost "bedroom coder" stage in its life. This will do far better than the first round of motion controls (if we're talking about the Wiimote's brand of "waggle" and Kinect type stuff)—although I'm not saying in terms of total unit sales necessarily—and again, to be clear, motion controls are still early days too. Motions controls haven't gone away, and with the advent of mainstream VR they will only be embraced and developed even further. I've even got plans for a Virtual reality console. It's not very focused on first person games, as you say, but I know what I'm talking about with VR. So no, I do not think it's limited to first person experiences. However, for people to maintain interest in it, each console must innovate VR. And Playstation and Xbox haven't done anything innovative for themselves in a long, long time. I just can't see this being more than a fad. True, at this point only Nintendo really makes dedicated games consoles any more. And I don't deny that there's some good stuff that can be done with it. However, after a while, people will get used to it, and move on to the next thing. The businesses only care about sales. So if VR fails commercially, they won't make more. Motion controls have been pretty much ignored of late, so it looks like it's dying out. I hope, for the sake of my console idea, I can be there in time for when VR is popular. But I don't think it will be. @Donderpants So, can you only see it being a thing if someone else shows you right now how it might be a thing? Your mind honestly can't entertain the notion that it's just a matter of time before someone does something so amazing in VR that it basically explodes, and the only small issue with VR right now is that it's not blown your mind enough or convinced you personally yet? To me, we're in a situation akin to the first generation of home consoles: Any casual looking on and seeing a bunch of blocks moving around primitive grids with beeps and bloops might think it's nothing of consequence, it will never catch on, it's just a fad . . . but that obviously would have just been so short sighted, unimaginative, and naive of them. VR, as it exists today, is basically like going back to gen 1 of gaming, but just in the VR space, and if you can't project forward and couple of generations and see where it's likely to be—other than basically dropping off the radar like a passing fad—then I genuinely think you don't ACTUALLY understand VR. That's not me trying to be a douche to you. That's me saying what I believe must be the case. You might sort of get it on a surface level and stuff but just like those people who thought videogames were a fad back in the day, I'd have to conclude you simply do not get what VR is and just how much potential it actually has, which also includes videogames in a massively huge way. There hasn't been a more exciting time in gaming since the advent of 3D graphics and 3D controls, if we think about the potential for such a huge paradigm shift in the videogame industry (and across all of entertainment actually), and going 3D fundamentally changed gaming as we know it, in so many amazing ways. VR absolutely has the potential to do the same, and with the huge backing behind it, from all areas, I actually don't see it being anything but the birth of a whole new amazing era of entertainment and videogames. Just spend an hour or so actually watching those videos, and really studying/thinking about how they would be experienced inside VR (the sense of real world scale, the full wraparound worlds, the fully 3D positional audio, the extra level of control interaction in some cases, the types of things they are doing that simply aren't possible in conventional gaming in multiple ways). . . .
Bear in mind, these are basically the equivalent of indie level games/experiences here, in terms of production value and scope. VR is, without any doubt whatsoever in my mind, going to blow people's minds and give us some of the most amazing gaming experiences since the birth of the videogame industry. Just like the spectacular leap from Pong to whatever current-gen game that last blew your mind—really think about how far gaming has come since Pong—it's only going to get better and better. VR gen 1 is kinda like finally learning to crawl but knowing that some day you'll be able to fly . . . all the way into space. The best selling game of all time still wasn't enough to make motion controls last. If that's not enough, VR's going to need a lot to stick around. And I am convinced- it will be great, for a time. I just don't see it as a long term thing. Video games were different, those were brand new and exciting (and they were officially dead anyway for a year or so before Super Mario Bros was released.) I can see it might work- but it would require multiple games that are at the scale of Wii Sports. Seeing how utterly disappointing this gen has been thus far, I don't think any developer aside from Nintendo who can provide those sorts of games, and they're unlikely to be very interested, as they already tried VR, and it failed. I can see it working- it would be cool if it worked- but I don't see it as more than a very remote chance, since the best selling game of all time wasn't enough for the previous innovation. Perhaps it will last for a while, I wouldn't complain if so, but in terms of likelihood..... I find it too improbable that it will be a feature used very much for gaming. The current gen game that blew my mind? Splatoon. Any other game I've played this gen was worse than Pong. But Splatoon is awesome. VR will be a massive thing, I agree on that, just not that it's going to change gaming much. One main thing though- I can see VR in a few generations. If it lasts, which isn't unlikely, it will have games- but it will be a very minor feature, with the bulk of features being about virtual tourism, virtual social media, and an entertainment centre where movies, eBooks, videogames and the like exist. But Video games is unlikely to be more than a sub-genre by that point. @Donderpants Motion controls are still around, and will be back again in quite strong force when the next wave of VR properly launches. Just because they weren't perfect first time around, which means they've not become the dominant form of control for games, that doesn't mean they are totally useless or that they will go the way of the dodo. When done right, motion control can actually be pretty great. They'll be around for a long time and eventually we'll start to see some great uses of them. I don't think they'll become the de-facto go-to standard of controlling video games in the future but I do think motion controls are a thing now and they'll stick around in one form or another. Splatoon didn't blow anyone's mind. You mean, the game you really enjoyed, that impressed you the most, and that you had the most fun with this gen, was Splatoon. Or something along those lines. There's nothing mind blowing about Splatoon—unless you're really confused about what it means to have your mind blown. The general concept it quite cool though, and Nintendo created a great little game for what it was. Blowing your mind is, however, something VR will be capable of doing for quite some time to come. When you're sitting in a VR cinema, watching Carrie on the big 30 foot screen in front of you, and at the point where she starts to use her telekinetic powers to kill everyone at the prom, suddenly—without having ever experienced something like this before—you notice the actual cinema around you starts to shake, the lights smash out, a fire breaks out next to the entrance/exit, people sitting in the chairs around you start to scream and panic, chunks of the ceiling crumble down, crushing the person sitting directly in front of you, the girl next to you gets up and start clambering over the chairs trying to escape . . . and then you look back at the film and Carrie punches her hand through and steps out of the screen and starts movies towards you, using her powers to throw people aside and toss chairs into the air as she approaches, and then, suddenly, your chair starts to rise up in the air, people screaming all around you, fire everywhere . . . and Carrie lifts off the ground and floats right up next to your face, with blood pouring down her face, and screams a terrifying scream right at you—all in full 3D, both the image and sound, all fully wrapped around you in every direction, in full 1:1 scale, as though everything is actually right there in front of you, like you can almost feel her breath on you—THEN your mind might be blown, if only by the sheer spectacle and immersion of it all, which will be beyond any kind of entertainment you've experienced up to that point in time. And that's just a semi-interactive 3D movie in VR. You will, matter of fact, never have been more immersed in and potentially terrified by, any videogame, movie, book, animation, whatever, than there is the potential to be in VR. Unless you've maybe done some live action role playing (LARPing I think it's called) in a horror type scenario, or actually believe you've seen real ghosts and that kind of stuff, because the real world is about the only thing that will give you more immersion than VR is capable of for this kind of thing—and that's the kind of thing that will blow people's minds when they first experience it. I mean, seriously, watch and listen to this guys response. He's genuinely blown away. Not just "Oh, these graphics are really nice". It's like he's actually stunned at times. And this is just gen 1, non-playable, movie type stuff in VR. This is like the Pong of videogame, for Christ sake! IMAGINE . . . what this technology is going to be capable of in another 10-20-30 years time! Splatoon did blow my mind- an original shooter? Impossible. Everything else this gen has sucked. A few Wii U games have been great, but aside from that, everything has sucked. No real improvement on last gen, which in itself felt like a somewhat minor improvement. Nothing this gen has blown me away tech wise. Splatoon's the closest it got- an innovative shooter, and an online shooter that I like, both previously not achieved. I'd just be scared. I wouldn't have my mind blown. That's just a differently positioned screen. It's all digital images. I could very easily understand how it was working, So no, that would not blow my mind. VR is certainly capable of it, but that's not blowing my mind in any way, shape, or form. Software blows my mind, not hardware. Third chances in business are exceedingly rare. I'm sorry. I just can't see video games being more than a minor feature of VR after the first few VR consoles. @Donderpants Then, again, I just think you TRULY cannot properly grasp what VR is and what it is capable of. Trust me when I tell you that the limitation, the problem, is not VR—it's you. It's your lack of ability to see the unrealised potential of something—apparently until it's actually been realised, and maybe then you'll finally get it. Did I recall you saying you'd used current VR (like the Oculus or whatever)? If you did say that then I just don't believe your, or I believe you but I'm shocked at how little you are unable to see what a technology is potentially capable of unless it's literally there for you to see it right there and then. I can't believe you can't you can't see the actual potential in VR. Well, I can believe you can't see it, but I'm shocked at how some people's minds apparently just can't go beyond pretty much only what they have seen/experienced firsthand. VR is great. It will provide great experiences. It will be unique and cool. However, people have a habit of getting on with life very quickly after something, regardless of how innovative. That's what killed motion controls. That's what killed Atari. Nothing technology wise can last forever. Will it have many uses? Yes. But will it be commercially successful for gaming in particular after a few years? Probably not. But only the first one has much long term potential. Don't know where you got that from. Never used VR in my life. I don't see it's limitations. It's got hundreds upon hundreds of uses. But humans are fickle beings- commercially, it can only succeed until we move on to the next "game changer"
But I can see many uses for it. Attach gloves that tense up when they touch where polygons should be. The uses there would be endless. Even without, the uses are massive. There are many things that could be done that would be really, really awesome. In gaming, however, I don't see it as commercially successful after the first few years. For gamers, it will be great, actually unique experiences unlike the utter disappointments that are the Xbox One and PS4, but for the companies themselves, VR is probably not a long term thing. @Donderpants The problem for me is that you're apparently equating VR to the likes of motion controls (as you see them), the balance board, and 3DTV that requires 3D glasses, Cabbage Patch Kids, Rubix Cubes—that kind of thing (some kind of stop-gap, Christmas hit, short-lived product)—rather than the likes of proper TV, consoles, music players, mobile phones, which are all here to stay as fully fledged persistent forms of entertainment. VR isn't going to be one of those side products that you, apparently, mistakingly seem to think it is. It's not a frikin peripheral. It's not just something that's going to be big this Christmas or whatever and then basically fade away into obscurity as some cool niche product we got excited about 20 years ago. It's going to be another form/branch of entertainment that sits alongside the likes of movies, videogames, books, board games, consoles, PCs, mobile phones, etc. VR is the next big medium in entertainment, and the next paradigm shift in gaming. Like 3D graphics and 3D controls, as seen on the N64, were to gaming. It won't replace the the other forms of entertainment or gaming, just like 3D didn't, and mobiles didn't, but it will be another major category in its own right. That is almost undebatable and inevitable at this point in time, imo, and I personally think only very short sighted, small thinking people see it otherwise. Just like those people who thought videogames were going to be some kind of niche, short lived gimmick back in the early eighties. That's my exact point! I've been saying this entire time that VR will be big- but after a while, not primarily for gaming. I've been saying this whole time it will be it's own entertainment thing- one which has a side feature of gaming, but not really a system for games. It's separate from gaming. That's my point. I must have said it clumsily, I apologize for wasting your time if so. I'm talking about the gaming medium. It will be a new medium. I don't think it's likely to be a big new change, though, for gaming. NX might have it. That'd be freaking awesome. I'd buy it. But VR is unlikely to be anything much for gaming after a while. Awesome, unique experiences, yes. Commercially successful? In gaming, probably not after the first few years. @Donderpants Well, just like that could be argued about any modern console—which are now largely far more than just gaming machines—I don't think VR will be GAMING and basically little else either. As I have said, like consoles, VR will be the next platform in entertainment, and very much like consoles, I see gaming as being a HUGE part of that platform. The very fact the entire platform is being built around gaming tells you it's not just some movie player that will also include games, or something like that. It's a gaming system that also includes movies. And, sure, the balance between games and whatever else might change over time—that's not unreasonable to assume—but gaming will be HUGE on this thing, ALWAYS. Underestimating the gaming part of VR is probably about the biggest mistake everyone/anyone is making here. Just like people didn't quite realise that gaming was going to be the biggest part of the iPhone and iOS store when it first launched either—yet the iPhone/iOS is totally and utterly dominated by gaming. Without it the platform would probably flop. Gaming IS the biggest form of entertainment in the world, basically—despite more individual people maybe owning a TV or phone or whatever—and any massive entertainment platform going forward has to realise and embrace gaming as pretty much its primary medium, which is EXACTLY what VR is doing. The guys making VR can see this. It shocks and disappoints me that so many GAMERS can't. VR IS the next big thing in GAMING, regardless of everything else it's going to be great for too. That is basically a FACT at this point in time, whether people can see it or not. It's just sad that GAMERS can't see it. Fair enough. I can't convince you, and you can't convince me. No matter what the case, VR is headed our way. Let's hope it's done well! @Donderpants It already is "done well" enough, for what is essentially a first gen product, and it's only going to get better and better, just like basically every single other long term form of entertainment ever created. I'm just saying I hope it improves rapidly enough to gain enough momentum to survive as it's own medium. @Donderpants Well, It may not start out selling hundreds of millions of units right out the gate, unlike smartphones and tablets have in recent years, but it doesn't really have to. It will be a relative success, it will survive, and it will eventually be something a lot of people use on probably a daily basis in the not too distant future. Companies like Facebook and Oculus aren't in this for the short term, and that is why it will almost certainly succeed, because they see the bigger picture and the end goal. This isn't just a quick gimmick to earn an easy buck, which is why certain other things like this do fail—like 3DTV that requires stupid glasses, for example. This is an entirely new product category, which these companies expect to sit alongside TVs, mobile phones, tablets, music players, streaming entertainment boxes, etc. The fate of VR has basically been written in stone since people started imagining all the amazing possibilities of such a technology many, many years ago. It's just that right now looks to finally be it's time—the birth of the next big thing in entertainment, and gaming, and it's almost certainly going to grow into a very healthy and successful product category, even if there are still a couple more hurdles/stumbles to overcome before we finally get there. But it is going to get there. Of that there is basically no doubt at this point. One day, in the not too distant future, you will likely walk into the average living room, and alongside the TV in the centre of the living room, a tablet on the table, a mobile phone on the arm of the chair, the PC sitting in the corner, the videogames console under the TV . . . you will find a VR headset too. Not because boring old parents are going to purchase it like they would a TV, but because kids, teens, geeks, etc., are going to purchase it like they would all those other devices. You won't see everyone carrying a VR headset around like they do phones, but it will likely be the equivalent of how many people you see carrying around a dedicated handheld gaming system these days. I see VR being about that level of penetration in say five to ten years time. And in 30 years time, I think it might end up being even bigger and more pervasive than most people can imagine right now, kinda like how there's a computer on every desk in every office type thing. And to be clear, gaming is always going to be a HUGE part of VR—just like it is on mobile phones, tablets, PCs, consoles, and whatever other electronic entertainment and productivity type devices you care to think of. Is this not available in America? I would love to read it.